The Oscar's are a fashionista's Super Bowl. I spent the largest part of my day in agony along with all of Twitter and DKNYPrGirl as she fretted about which celebrity would choose to wear Donna Karan and I am pretty sure I have an ulcer from the stress of celebrityX, who was still debating an hour ago! 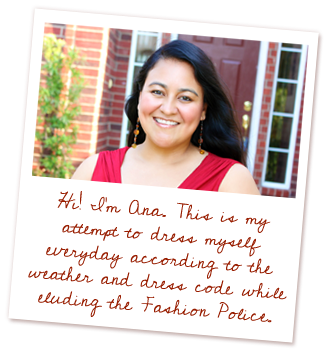 Seriously, there is an advantage to choosing your dress with time to make it fit beautifully. If any of my worst dressed picks had chosen DKNY, it would have prevented our collective ulcers and they would have looked much better. 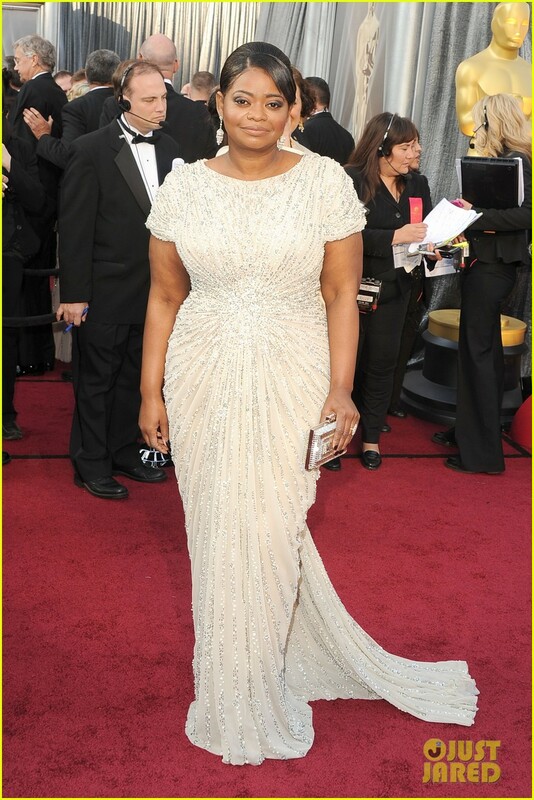 Just look at Octavia Spencer, who won the Oscar for Best Supporting Actress, and has been loyal to Tadashi Shoji all season. She looked flawless. I didn't think anyone was a complete disaster (except for Sascha Baron Cohen) and there were MANY beautiful gowns. Without further ado, my picks for best dressed at the Oscars. My pick for best dressed: Gwyneth Paltrow in Tom Ford. Also this makes me squeal at the prospect of a Tom Ford collection! Melissa McCarthy in Custom Marina Rinaldi. This is the best she's looked all award season and I loved this dress. Emma Stone in Giambattista Valli. I debated for a split second but she looked so beautiful and young that I quickly put her in my love, LOVE column! Milla Jovovich in Elie Saab. She was the first actress I saw and my jaw just dropped. I was stunned that this is her first Academy Awards show and she looked like a total movie star! Loved this dress. Jessica Chastain in Alexander McQueen looked incredible and I loved her hair and makeup. She looked fresh and exactly like the up and coming star that she is. Rooney Mara in Givenchy. Keeping with the white trend, I didn't like her bangs or the severe makeup, but the dress is flawless and it fits beautifully. Shailene Woodley needs to fire her stylist. She looked horrible at the Screen Actor's Guild Awards and it's a shame that this is considered an improvement. I didn't like the long sleeves for her frame. This is why you should pick your dress ahead of time, so that the designer can hem it for you. She should have picked DKNY. Jennifer Lopez in Zuhair Murad. I wanted to love her, I did. But I can't. I initially tweeted her out as a best dressed for me. But the fashion blogger topknot and the boobage. I can't. Natalie Portman in Dior Haute Couture. She is wearing polka dots to the Academy Awards. She can't expect to be on any best dressed list. She should have worn DKNY. I bet it wouldn't have been polka-dotted. I might have liked Cameron Diaz in Gucci if it didn't look like she air dried her hair on the way to the ceremony. Meh. Sandra Bullock in Marchesa. It was two-tone and boring, yet busy. The ponytail didn't help. She should have worn DKNY. Bradley Cooper in a mustache. Seriously, you are freakin' Bradley Cooper and you date Zoe Saldana! Shave that thing off your face! I think everyone else is tired of it, too, because I could not find a single photo of Bradley Cooper tonight. Even though he was a presenter...which tells you that no one else liked it either and I am not alone in this sentiment. Go shave. Now. This photo is from The Golden Globes. To end on a happy note, how incredible does Angelina Jolie look in boring black Atelier Versace. Not to mention her hunky hubby! Several twitter peeps identified this a Givenchy initially and she wasn't interviewed on the red carpet, but Getty and Reuters identified the dress as Atelier Versace. Who were your picks for best and worst dressed at the Academy Awards this year? Natalie Portman kind of blew it this awards season, huh? None of her dresses for ANY of the awards shows were that great! Also, did you see Kate Bosworth in Prabal Gurung at the after party? She wins my best-dressed pick! Yes, even the floral number last year was better than all the dresses this year. It's a shame because I love her and I love this vintage Dior number, but she wore polka dots...to the Oscars! Just checked out Kate, she looks amazing! I agree that she was looks fantastic and I am so relieved that Emma Stone went with the Giambattista Valli dress for the Oscars and not the Chanel gown she changed into for the after party. Tell me what you think, but be nice! You catch more flies with sugar than spice! This blog contains advertising and contextual affiliate marketing links. If you follow a link in any posts and make a purchase, I may get a commission from that purchase. The content of this blog is not influenced by any advertisers or affiliate partnerships, although there will be advertisers or affiliates that I already frequent on a regular basis. In addition, I may receive free products from various companies that Scorching Style works with. These items will always be listed as "c/o" or "courtesy of" in the blog posts in which they appear. Not all gifted items will appear on the blog. © Scorching Style 2011-2017. Powered by Blogger.